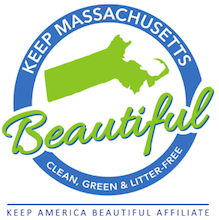 We answered these and other vexing recycling questions in the latest episode of Keeping Massachusetts Beautiful. Gretchen Carey of MassRecycle explained the challenges facing the recycling industry in Massachusetts, along with steps residents and businesses can take to increase recycling rates while reducing contamination. We also discussed MassDEP's new RecyclesmartMA.org website and Recyclopedia tool.